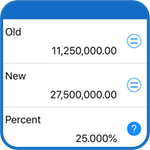 Download hundreds of calculations or create your own with PowerOne® calculator. Quick and accurate. 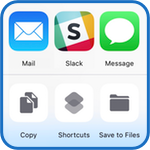 Templates act similar to locked-down mini-spreadsheets that increase accuracy and speed for repetitive calculations. Enter the data you know. PowerOne will calculate the rest. 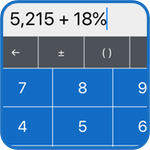 For those one-off calculation needs, PowerOne provides a powerful standard and RPN calculator on iOS devices. Over a hundred functions to help with virtually anything: basic math, powers, logs, trigonometry, probability, programmer’s math, fractions, and Imperial and metric units. Get up and running fast with hundreds of pre-created templates in PowerOne's extensive library. Covers everything: finance, conversions, real estate, business, investing, construction, engineering, health, fitness, and more. While some calculations are common, there are millions more specific to you or your business. With PowerOne, it is easy to create powerful templates of your own using our intuitive language. 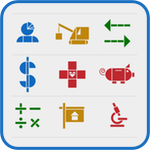 You, your team, and your customers can perform their own calculations without ever having to think about the math. Access PowerOne everywhere. 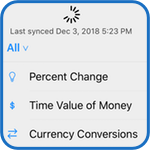 Whether on the go with your iPhone or iPad or at your desk on the web, PowerOne makes sure your critical calculations are available at your fingertips offline or on. Keep everyone on the same page. Share your results and templates with your team and customers. Ensure everyone is performing the same error-free calculations every single time. Highly customizable. 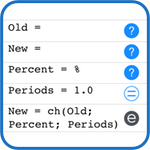 Go beyond templates with expanded calculator functions and themes! Match your mood and make it the product you want to use every day. "You need this calculator. It's miles better than the competition." "The crème de la crème of calculators"
"Incredibly powerful tool for calculations of all kinds." 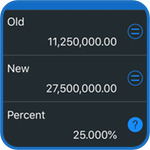 "[PowerOne] sets the benchmark for other calculators to reach." "A legend. 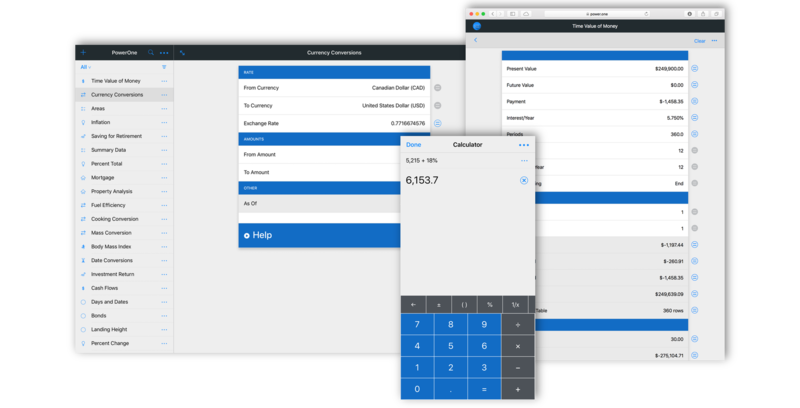 The best … calculator app I have ever seen." "We're hard pressed to name something PowerOne can't do." "Not sure how I could do my job without PowerOne." ©2019 Infinity Softworks, Inc. All rights reserved.